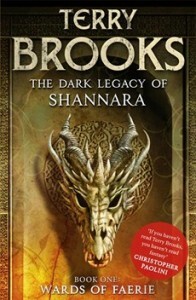 With a hugely popular writing career reaching back more than thirty years, some fantasy readers may think they know all there is to know about the books of bestselling fantasy author Terry Brooks and his seminal world, Shannara. But think again. To celebrate the conclusion of Terry Brooks’ most recent trilogy, the Dark Legacy of Shannara, we thought we’d unearth a few facts about the world of Shannara which may surprise fantasy readers out there . . .
1. While influenced by The Lord of the Rings, the Shannara series is more influenced by William Faulkner, who wrote generational sagas where family secrets can destroy from within. Terry Brooks wrote his college senior thesis on Faulkner. 3. Jon Favreau (Iron Man) and Miles Millar & Alfred Gough (Smallville) are trying to bring THE ELFSTONES OF SHANNARA (UK|AUS) to television à la Game of Thrones. 4. 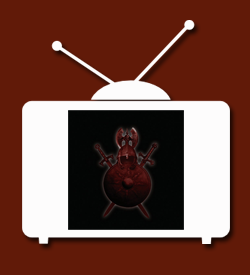 WARDS OF FAERIE (UK|AUS), BLOODFIRE QUEST (UK|AUS), and WITCH WRAITH (UK|AUS) are the three books comprising the Dark Legacy of Shannara trilogy. They are an indirect sequel to THE ELFSTONES OF SHANNARA (UK|AUS), widely regarded as Terry’s best novel. 5. Terry created airships in the Shannara series because he thinks there should be a natural progression in technology from a medieval setting. He also grew tired of keeping track of long treks on horseback. 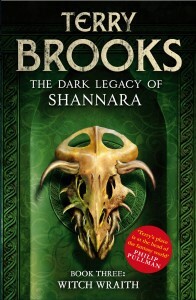 The Dark Legacy of Shannara is out now in paperback. 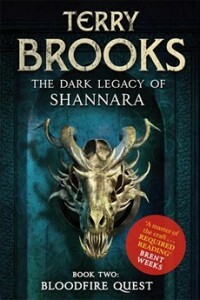 Terry Brooks’ next novel, THE HIGH DRUIDS BLADE (UK|AUS), is published in March.